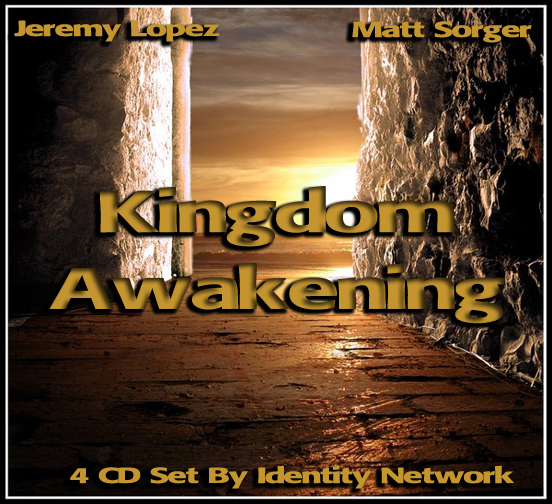 Kingdom Awakening Conference with Matt Sorger & Jeremy Lopez. Matt's passion is to see the presence and power of the Holy Spirit transform and change peoples' lives. He also places great emphasis on the practical preaching and teaching of God's Word, bringing a great balance between authentic, supernatural encounter and solid Biblical truth. Matt was touched by the power of God at the age of fourteen. After witnessing the supernatural healing of his mother, he came into his own personal encounter with the Lord and was radically saved and filled with the Holy Spirit. From an early age Matt had a deep hunger for God causing him to spend hours a day in prayer. Out of this place of intimacy the presence and power of God was released in Matt's life in tangible ways. While pursuing a degree in medicine, Matt was called by God into fulltime ministry. Under the leading of the Holy Spirit, Matt received a degree in Biblical Studies, graduated with highest honors and served as President of his class in Bible school for four years. Matt then served in pastoral ministry, during which time he ministered closely with Lou Engle of The Call, seeing over 85,000 believers gather together from across the nation and the world for a united day of prayer and fasting in New York City. While serving with The Call , Matt hosted several regional gatherings where the power of God was poured out in extraordinary ways. After receiving a powerful visitation from God, Matt was launched out into an international prophetic, healing ministry where He has seen thousands saved, healed and delivered by the glorious power of the Holy Spirit. Matt's first priority and passion has been to develop an intimate relationship with the Holy Spirit. He is a man of prayer and a vessel through which the presence and glory of God is released. His heart's cry is for revival in the nations with signs and wonders following the preaching of the Word. Matt ministers the Word in a powerful, dynamic and energetic way. His sensitivity to the Holy Spirit brings a fresh anointing as lives are transformed by the touch of God.